As the world's only really reliable, global, cost-effective and energy-efficient mass transportation method for energy, materials, foods and products, maritime transport is central to sustainable development. And the maritime transportation system itself must, therefore, ensure that its development is also sustainable. The concept of a sustainable maritime transportation system aims to identify some broad areas that need to be addressed if sustainability is to be achieved. These include safety, environmental protection, efficient operation, security and resource conservation. Energy-efficiency measures are, therefore, part of this concept, as they also address the reduction of CO2 emissions from international shipping; a key factor in ensuring international shipping contributes to efforts to mitigate climate change. IMO’s Second GHG Study, published in 2009, identified that CO2 emissions from international shipping accounted for approximately 2.7 per cent of total anthropogenic (caused by human activity) CO2 emissions in 2007. If no regulatory measures were developed, CO2 emissions were projected to grow between 200 per cent and 300 per cent by 2050, despite significant market-driven efficiency improvements. 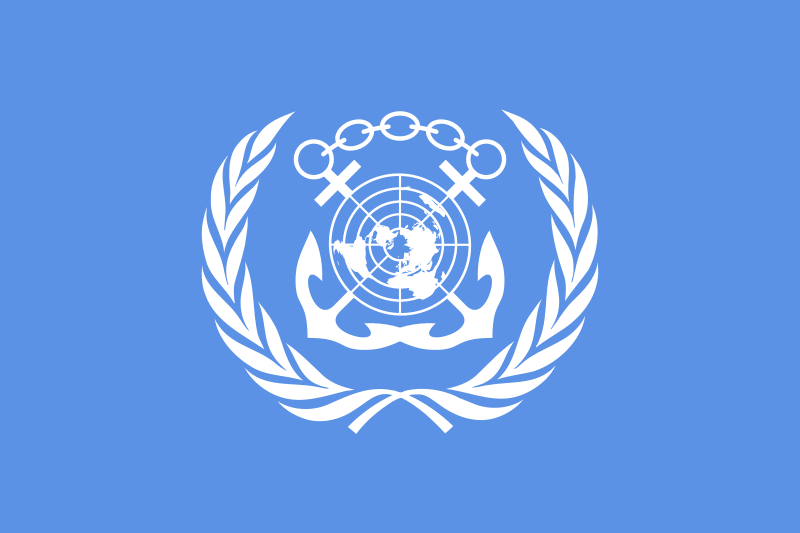 Against this background, in 2011 IMO adopted a suite of technical and operational measures comprising an energy-efficiency framework for ships, which entered into force on 1 January 2013 under Annex VI of the International Convention for the Prevention of Pollution from Ships (MARPOL). Estimates (in a study carried out by Lloyd's Register and DNVfor IMO) suggest that successful implementation of this energy-efficiency frameworkby 2050 could reduce shipping CO2 emissions by up to 1.3 gigatonnes per yearagainst the business-as-usual scenario (to put this in context, global energy-related CO2emissions reached 31.6 gigatonnes (Gt) in 2012, according to the International Energy Agency (IEA), in its World Energy Outlook Special Report (OECD/IEA, 2013) http://bit.ly/1a5L7AH). The package of technical and operational requirements, that apply to ships over 400 gross tonnage, requires new ships to be constructed to a mandatory design index, the Energy Efficiency Design Index (EEDI), which sets a minimum energy-efficiency level for the work undertaken (e.g. CO2 emissions per tonne-mile) for different ship types and sizes. The EEDI requirement aims to increase the energy efficiency of new ships over time. It is a non-prescriptive standard that leaves the choice of which technologies to use in a ship design to the stakeholders, as long as the required energy-efficiency level is attained, enabling the most cost-efficient solutions to be used. It is therefore intended to stimulate innovation in, and continued development of, the technical elements influencing the energy efficiency of a ship. Reduction factors are set until 2025 when an improvement in energy efficiency of up to 30 per cent over the average energy efficiency for ships built between 1999 and 2009 will be required. The EEDI has been developed for the largest and most energy-intensive segments of the world merchant fleet and, with the recent inclusion of additional ship types, will embrace approximately 85 per cent of emissions from international shipping. The new regulations also make mandatory the Ship Energy Efficiency Management Plan (SEEMP) for all ships over 400 gross tonnage. The SEEMP is an operational measure that establishes a mechanism to improve the energy efficiency of a ship against business-as-usual, in a cost-effective manner and also provides an approach for monitoring ship and fleet efficiency performance over time, using, for example, the Energy Efficiency Operational Indicator (EEOI) as a monitoring and/or benchmarking tool. Studies by IMO indicate that uptake of SEEMP measures will have significant effect in the short to medium term, while EEDI measures should have a greater impact in the longer term, as fleet renewal takes place and new technologies are adopted. Some examples of technology innovations expected to be adopted through effective EEDI and SEEMP implementation include speed reduction, weather routing, use of auxiliary power and a focus on aerodynamics (see Figure 1). Speed reduction presents the largest opportunities for reductions in fuel consumption and CO2 emissions, because it can simultaneously optimise engine efficiency and reduce hydrodynamic and aerodynamic loads. Optimisation of maintenance and operational practices, such as regular propeller and hull cleaning, can also reduce power requirements. A variety of commercially viable emission-reduction solutions for sustainable shipping exist, with energy savings being far greater than the upfront capital costs. For example, propeller polishing (4.0 per cent potential gain), water flow optimisation (2.8 per cent), and hull cleaning (4.8 per cent) each offer energy savings that far outweigh their upfront costs. Speed reduction has the largest reduction potential and only a moderate cost, while solar panels have limited CO2 reduction potential. While the EEDI and SEEMP regulations establish the energy-efficiency requirements for shipping, there is a need to instill an energy-efficiency culture in international shipping, particularly with regard to effective implementation of the SEEMP and ensuring the inculcation of energy-efficiency measures. The regulations require every ship to “keep on board a ship specific Ship Energy Efficiency Management Plan (SEEMP)”, but there is a need to ensure that such plans are robustly implemented, and to go beyond mere compliance. Technological barriers relate to concerns over the ability of the energy-efficiency technologies available on the market to actually provide the benefits, in terms of emission reductions, as claimed by the manufacturers of those systems. Commercial barriers relate to commercial arrangements that impede introduction or expanded use of energy-efficiency solutions in shipping. The "split incentive” is one of the biggest institutional barriers to implementing fuel saving projects that require capital investments. This occurs when the ship owner, who controls capital spending, is not the same as the operator, who is responsible for fuel costs and therefore receives the financial benefit from any fuel savings. Other commercial barriers lie in the contracts used in shipping. For example, a barrier to fuel savings may occur when a ship is hired under a “voyage charter” (in which the ship owner is responsible for all ship and voyage costs). The contract of carriage will normally have a “due dispatch” clause that requires the ship to meet a contracted speed or a stated date for arrival. In such cases, the opportunity to save fuel by sailing slower (thereby reducing GHG emissions) may not be fully exploited. Financial barriers arise as some abatement solutions are only financially viable when fuel oil prices reach a specific level and are expected to stay above a specific level long enough to provide an adequate financial return on the investment. For developing countries, barriers to technological flows (knowledge, know-how, soft- and hardware) can also potentially limit implementation of energy-efficiency regulations adopted by IMO. It is recognised that a key to effective implementation lies in capacity building. In order to support countries which lack the requisite resources, experience or skills to implement IMO treaties, the Organization has developed an Integrated Technical Co-operation Programme (ITCP) which is designed to assist Governments by helping them build the necessary capacity. This assistance is now being fine-tuned by developing individual country profiles that closely identify the precise needs of developing countries. Through these activities, IMO helps to transfer know-how to those countries that need it, thereby promoting wider and more effective implementation of IMO measures. This, increasingly, will be the Organization’s focus in the future, as IMO looks to play a leading role in the drive towards a sustainable maritime sector. The new chapter 4 to MARPOL Annex VI on Regulations on energy efficiency for ships recognised this need with a specific regulation on Promotion of technical co-operation and transfer oftechnology relating to the improvement of energy efficiency of ships. This regulation requires the relevant national Administrations, in co-operation with IMO and other international bodies, to promote and provide support to States, especially developing States, that request technical assistance. The regulation also requires the Administration of a Party to co-operate actively with other Parties, subject to its national laws, regulations and policies, to promote the development and transfer of technology and exchange of information to States, which requesttechnical assistance, particularly developing States, in respect of the implementation of measures to fulfill the requirements of Chapter 4. Further to this, in May 2013, IMO’s Marine Environment Protection Committee (MEPC) adopted a resolution on Promotion of Technical Co-operation and Transfer of Technology relating to the Improvement of Energy Efficiency of Ships. The resolution, among other things, requests the Organization, through its various programmes, to provide technical assistance to Member States to enable cooperation in the transfer of energy-efficiency technologies to developing countries in particular; and further assist in the sourcing of funding for capacity building and support to States, in particular developing States, which have requested technology transfer. International shipping is a complex industry and multi-stakeholder action is required to realise the optimum energy-efficiency gains that are achievable, in order to move towards a sustainable and more energy efficient operation of maritime transport. IMO’s technical co-operation programme exists to provide co-ordinated technical assistance to States, and there is much that can be done by Governments, industry and other stakeholders to support an energy-efficiency culture and to overcome the barriers to achieving optimum reductions in GHG emissions. For example, manufacturers and equipment suppliers working with ship owners could demonstrate the cost effectiveness of energy-efficiency technologies and promote greater understanding of the implications to the commercial operation of the ship of various new technologies. Further discussion between ship owners and charterers, and the upgrading of charter party contracts, could help to develop benefit-sharing practices for reducing fuel consumption. This is something that has already been seen – for example, the industry, in consultation with technical experts, has developed a standard form of slow-steaming clauses for both time and voyage charterparties. Finally, Governments could look at ways to incentivise energy-efficient ship operations to encourage faster implementation of energy-efficiency measures and the inculcation of an energy-efficiency culture, which lies at the heart of a sustainable maritime transportation system. Koji Sekimizu of Japan is the seventh elected Secretary-General of the International Maritime Organization. Mr. Sekimizu studied marine engineering and naval architecture and joined the Ministry of Transport of Japan in 1977, working initially as a ship inspector and moving on to senior positions in both maritime safety and environment related positions within the Ministry. He joined the IMO Secretariat in 1989, initially as Technical Officer, Sub-Division for Technology, Maritime Safety Division, becoming Head, Technology Section in 1992, then moving to become Senior Deputy Director, Marine Environment Division in 1997 and Director of that Division in 2000.